The HUB6 team is excited to now offer our Safe by HUB6 smart home security system in the USA. Finally, homeowners across North America can be free from long-term contracts and monthly fees, and get the flexible monitoring they deserve. Safe by HUB6 transforms your existing home security system into smarter system for an affordable, one-time price. “Millions of people are unhappy with their current security providers because of high monthly contracts and ad-hoc fees,” says Co-Founder, Tony. “We empower people to break free from long-term contracts and unfair fees, saving consumers nearly $600 dollars a year.” Instead of paying for a stranger in a call centre to respond to your alarms, our system pushes notifications directly to you or a trusted neighbour who can look out for your home. 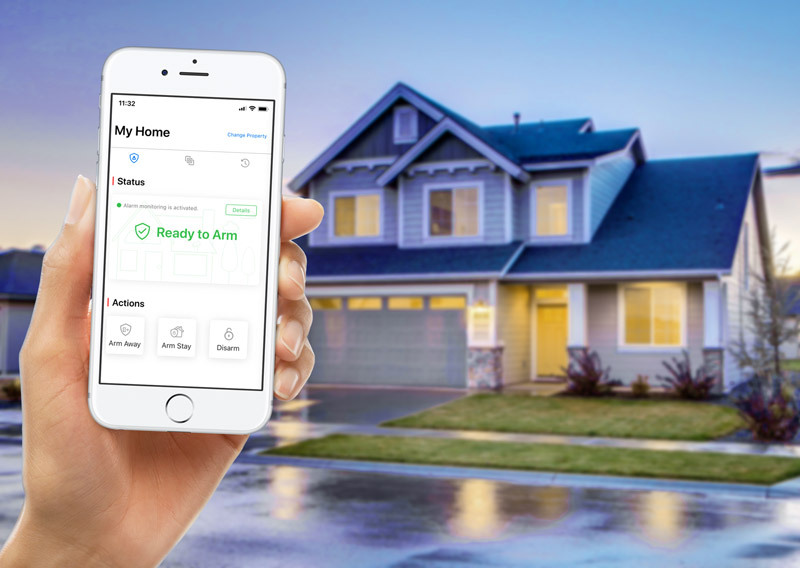 The free HUB6 app allows users to check the status of their home, control the alarm system, and get instant alerts when the system is armed or disarmed. The included, no-fee, 3G SIM card allows users to stay connected to their home, even if the power or internet is down. The Safe system is compatible with most DSC home security systems and works with other smart home products including Google Assistant, Nest, and Alexa through IFTTT. While you can shop online through our website currently, look out for us in retail in the coming months. “The Canadian Security Association recently released survey results that determined nearly 97 percent of reported alarm activations were false,” says Co-Founder Ric. “Consumers are paying exorbitant fees for unnecessary monitoring and then being burdened with false alarm fees as well. Safe by HUB6 puts consumers in charge of their own monitoring, saving them money and unnecessary hassles.” Our team believes homeowners should feel empowered, not intimidated, to protect the people and things they love the most. As we grow continue to grow we look forward to helping even more homeowners save money, strengthen communities, and improve safety.